2 Comments Posted in Awesomeness Tagged Navimie, Navipoemmed! A couple of weeks ago, Lyss invited a new alt that Cymre made on Drak so that she could work on getting one of the pets she coveted, the Lil’ Tarecgosa. 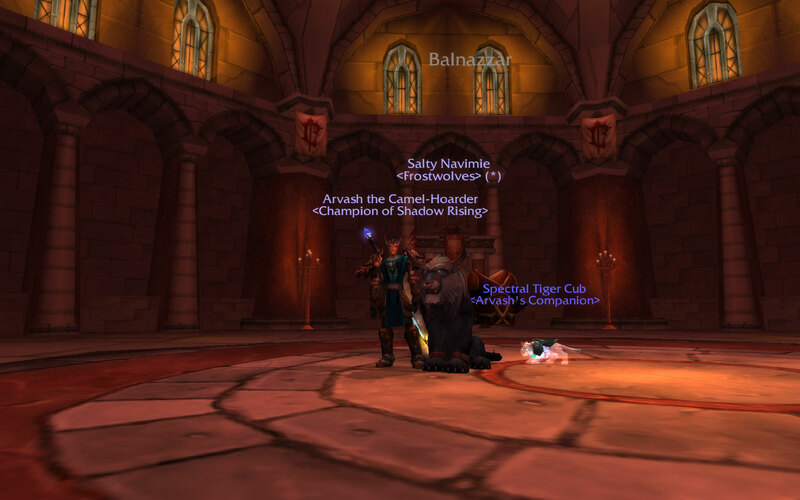 I gave her some gold to help her out buying the guild tabard and the pets and the guild supported her with some friendly guild banter as she was grinding her way to Exalted with the guild. She got Exalted really quick and wasted no time in power leveling Lil’ Tarecgosa to 25, the same day she got it, lol. Cym gave some of us a Pandaren Spirit pet for helping her out and I ended up giving my Fire Spirit to Lyss because I had one already. I told Cym about it to make sure it was ok with her and that I appreciated the nice gesture. She’s been trying to get me a pet I don’t have in my collection, which isn’t very much to choose from, but each one she’s tried to farm for me, I’ve ended up getting it for myself, lol. For months, I’ve been working tirelessly in the Molten Front and recently got the Seared Scorchling and I also spent endless nights farming Pandaren and Mogu artifacts to turn into crates to finally get the Crawling Claw, two pets she tried to help me get. I don’t expect anything in return when I give pets away to my friends; as long as they enjoy it, that’s all the gift back I’ll ever need. But I think Cym was determined to give me something. And she did the next best thing, she made me into a superhero! When I first saw her post about it, I was immediately floored. I really enjoyed her Super Sunday series and felt honored that she turned me into one. Maybe her inspiration came from a certain WarFare Theater post of mine, but either way, I thought it was an awesome and original gift. 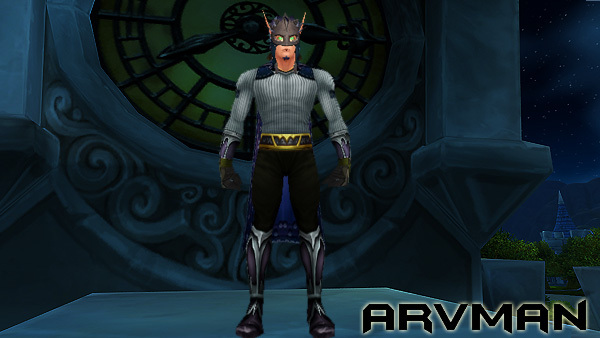 8 Comments Posted in Awesomeness, Mogging Tagged Arvman, Cymre is awesome! The Protectors of the Endless is the first fight in the Terrace of Endless Spring, a council-type fight involving three bosses. 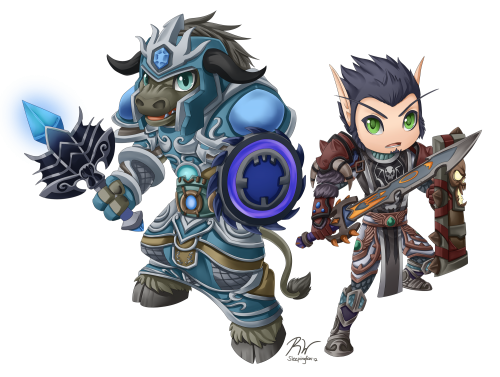 Just like the Assembly of Iron in Ulduar, depending on the order you kill the Protectors, you can obtain different parts of an achievement, Power Overwhelming, and even get a different level of loot, called Elite. Elite loot is item level 503, which falls in-between normal (496) and heroic (509) raid loot. Since this was our first night, we decided to use the normal strat. We started using three healers, but after hitting the enrage timer a few times, we went with two and managed a kill for a good start to Terrace. The easiest combination and order to kill the Protectors is Protector Kaolan first, followed by Elder Regail and Elder Asani last. 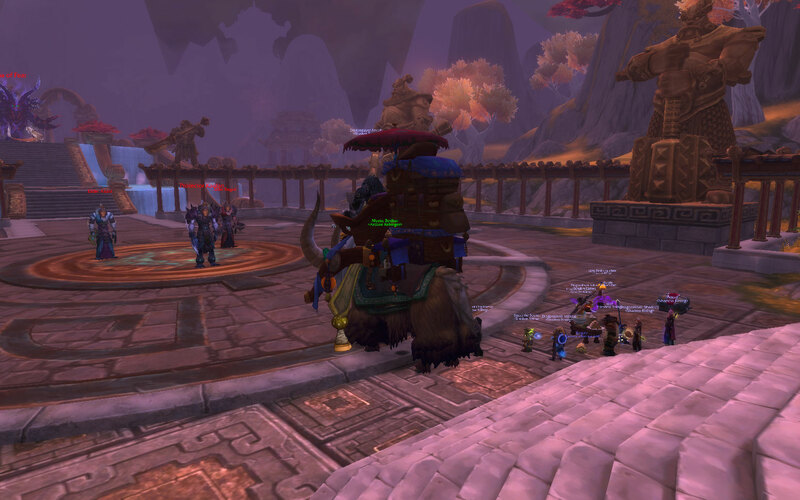 We split the bosses up at the start, with Wok tanking Kaolan and I tanked Regail and Asani together. It is important to keep the bosses out of the Cleansing Water pools that spawn on the ground so that they don’t get healed. For the tank that has both Regail and Asani, try to interrupt their Lightning and Water Bolt spell as much as possible to help mitigate the raid damage. 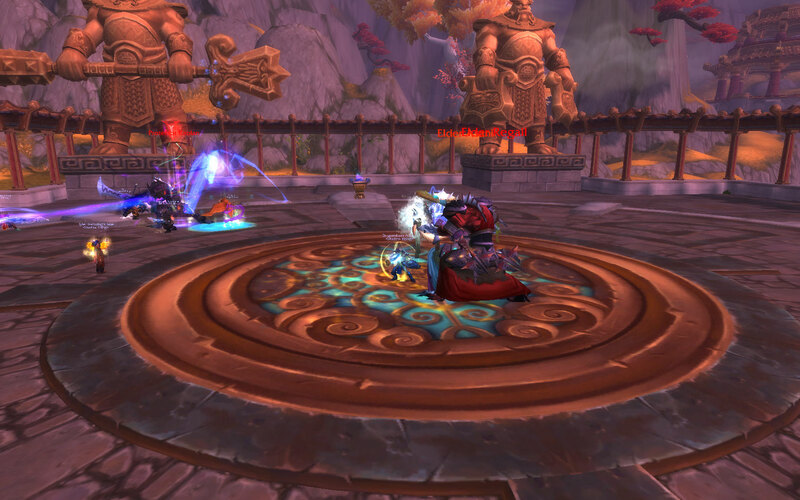 Healers or anyone who can dispel, must do so on raid members that get caught in Lightning Prisons, as they will get stunned and take damage until they are freed. When Kaolan dies, the other two will be healed to full and gain a damage increase and new abilities. Elder Regail has an ability called Lightning Storm, where he creates 5 waves in a ring around him that does a lot of damage if you stand in it. The key to this ability is to get close to the outer edge of one of the waves and quickly move in once it passes. Elder Asani’s new ability is called Corrupted Waters, where he summons a globe. This globe always appeared in the middle of the room for us, but I’m not sure if it spawns anywhere else based on where Asani is standing. Anyways, once the globe is destroyed, it will grant all raid members close to it an attack or healing speed buff called Purity for 20 seconds. Cleansing Water pools will also still remain, so make sure you keep the bosses off it. 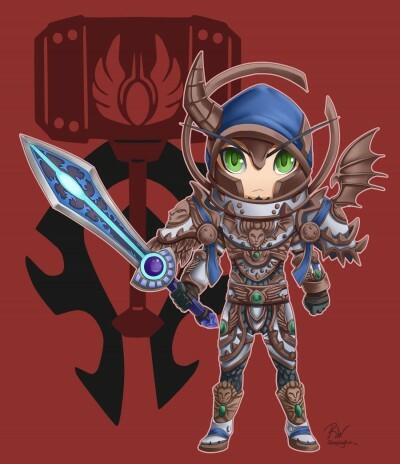 Once Regail dies, it’s just a dps race to the finish. Asani will continue to use Water Bolts and Corrupted Waters, so keep interrupting the bolts and destroying the globes. Cleansing Waters again appears during this phase, make sure to keep Asani out of it. Adoe mentioned about a stacking damaging debuff that is applied to the raid during this final phase, so help your healers out by using any cooldowns, cookies, pots, etc. Overall, this was a pretty simple fight, the mechanics aren’t too difficult to execute. I think once we get more kills on these guys, we might try our hand in changing the kill order a bit for a chance at some Elite loot. We put in some attempts at Tsulong before we called it a night. He’s a little bit more complicated than the Protectors, but maybe we can get him down tonight.